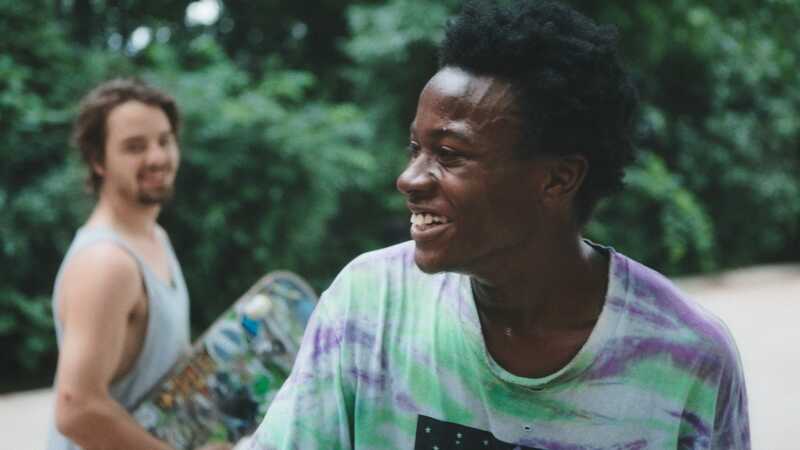 Critics are calling the Hulu documentary “Minding the Gap” one of the best movies of the year. The moving and challenging film compiles over 12 years of footage from director Bing Liu’s upbringing in Rockford, Illinois. “Minding the Gap” currently has a 100% “fresh” rating on Rotten Tomatoes. It’s available now on Hulu and in select theatres. Film critics are calling the Hulu original documentary “Minding the Gap” one of the best movies of the year. The film compiles over 12 years of footage from director Bing Liu’s upbringing in Rockford, Illinois, as Liu “searches for correlations between his skateboarder friends’ turbulent upbringings and the complexities of modern-day masculinity,” per Hulu’s description of the film. “‘Minding the Gap’ is a personal documentary of the highest sort, in which the film’s necessity to the filmmaker-and its obstacles, its resistances, its emotional and moral demands on him-are part of its very existence,” Richard Brody wrote in a review for The New Yorker. Liu, a first-time director, won the Sundance Award for breakthrough filmmaking in the field of US documentary earlier this year for the film, and Variety called it one of the festival’s 10 best movies. The 100-minute doc is now available on Hulu and in screenings at select theatres across the country.